What happens when child suicide bombers leave prison? 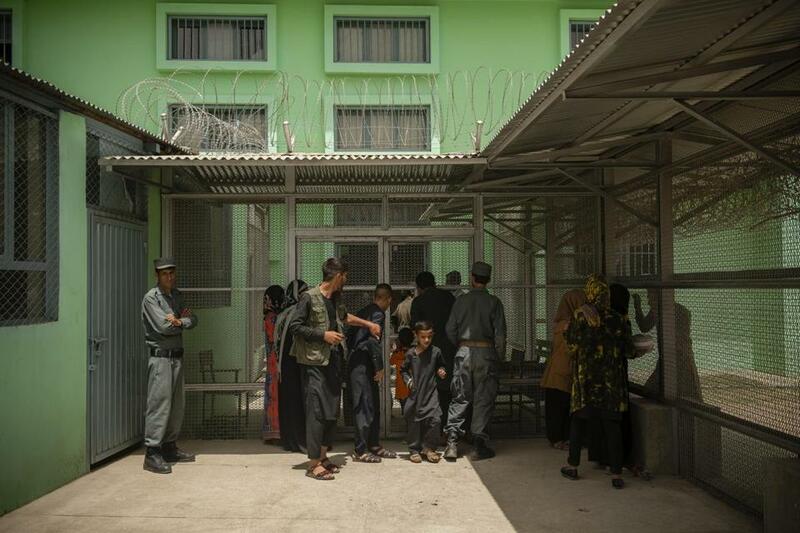 Visitors at Badam Bagh juvenile detention center in Kabul. Afghan children as young as 8 have been imprisoned after being caught preparing suicide attacks. KABUL — The 14-year-old boy squatted on the floor of the prison and, unbidden, began to chant the verses of a Pashto poem in a high, beautiful voice. It was an a cappella elegy in which a prisoner implores his family not to visit him on the Muslim holiday of Eid. The boy’s name was Muslim, and he was among 47 boys being held in the Badam Bagh juvenile detention center in Kabul as national security threats. Most were charged with planting, carrying, or wearing bombs, and many of them, like Muslim, were accused of trying to become suicide bombers. The Afghan Ministry of Justice arranged for a reporter to visit the prison last August at the request of The New York Times. Because of their youth, the boys in this article are identified only by their first names, and then only names that are commonly used in Afghanistan. Only those boys who agreed to participate in the interviews did so, and a ministry official and a counselor were present. They shared one complaint: As far as they were concerned, there were no suicide bombers in the suicide bombers wing. Muslim, who is eastern Afghanistan, said he was only a Taliban conscript. Aminullah, 14, had been in jail for 16 months. At age 13, he was caught with a bag full of explosives and a phone full of messages from the Taliban urging him to kill Americans. Atiqullah, 16, had been in jail for seven months after setting off a bomb that killed six people and wounded eight. Police said that Atiqullah’s life had been spared when the bomb detonated prematurely. Suicide bombings are endemic in Afghanistan. In 2017, according to reports compiled by The Times, there were at least 67 suicide attacks in the country, involving at least 151 suicide attackers. Anwar said that sentences for child offenders were often lenient because of their ages, but that the ministry lacked funding and facilities to provide them with support to steer them away from extremism.